Learning to work at height in The Training Centre isn't just easier — it's better. It brings students and instructors together in a safe setting, and gives them the resources to solve any height access challenge. Simply put, training here gives you more. More time. More skills. More answers. More confidence. And ultimately, more safety. The Training Centre is an incredibly versatile place. It has everything a height safety facility should have, but it's cleverly divided it into 4 specialised zones. Each one perfectly engineered to maximise your experience. So whether you're learning theory, working on an edge, climbing ladders or honing your height rescue skills, you can do so — in an environment designed from the ground up to help you reach your potential. A classroom dedicated to height safety. It only takes a laptop and projector to deliver theory lessons. But we wanted more. So we added demarcation to simulate an edge. We built structural anchorage into the walls for real product demonstrations. We installed a large HDTV for pristine presentations — not to mention the huge amount of equipment at your fingertips. 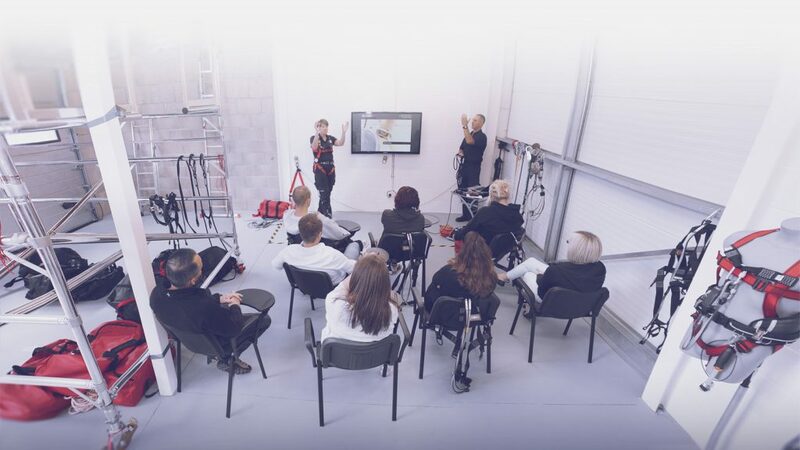 At The Training Centre you get it all in a spacious, distraction free environment. 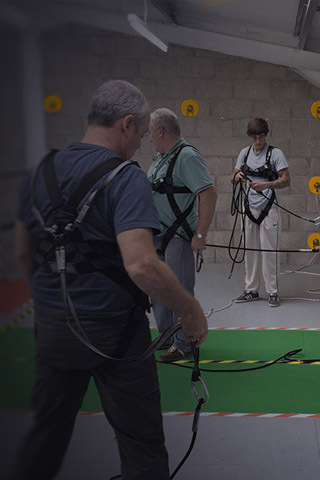 Simulate any height safety scenario. A purpose built mezzanine has a lot of perks for height safety training. Firstly, it's at height with a real edge. It creates a genuine experience. And sometimes that's valuable enough. But what makes The Edge Zone so special is its ability to simulate any height access scenario you can imagine. There are no obstacles in The Edge Zone. You wont be affected by weather. Procedures, live edges, anchorage, safe zones — everything is perfectly set up. Between the restraint systems, inertia reels, lanyards and lifelines to hand there's no practical skill you can't learn. And that's why working at height training in The Edge Zone is unlike anything else. An effective rescue saves lives, but it takes real practise. The Edge Zone is built for that very purpose. And not only can you use every rescue system and deploy them at floor, waist and head height but there's two live edges — that means we can run two groups in tandem, so you gain twice the time and twice the practise. This is no ordinary tower system. It's a 6m multi-level aluminium hybrid training tower, reinforced with scaffolding. It's anchored to the building and complete with structural fall-arrest anchorage points, an overhead i-beam and a multitude of safe access points. That's a lot of complexity brought together for a sole purpose — to make vertical application training as simple and effective as possible. Edges, lift shafts, confined spaces, man holes... They all mean one thing in a fall: vertical rescue. You need to act quickly, and you need to get it right. The problem is it's nearly impossible to gain sufficient training on site. But in the Training Centre we've created a controlled environment. So you can anchor safely to our advanced tower system and master raising and lowering casualties to safety — with a weighted mannequin, winches and descenders. The Ladder Zone has everything you need to gain temporary height access expertise. Dedicated eyebolts. Stabiliser's. A wide range of single, double, triple and folding industrial class ladders and step ladders. And anchorage solutions for both ladders and operatives too. On top of that it integrates with The Edge Zone — meaning you can learn how to work locally and in multiple locations across the wall. Using ladders might seem simple, but there's more to it than that. Equipment selection and suitability. The pros and cons of different work methods. And lets not forget your legal duties. 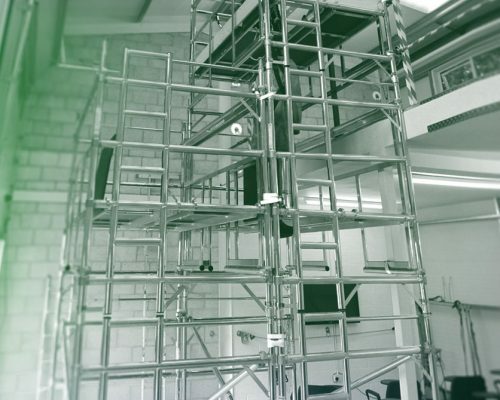 At the Training Centre you'll learn all that plus how to install eyebolts, safely erect a variety of ladders, stabilise them, secure yourself and traverse the wall using appropriate PPE — a complete solution for anyone who works at height with ladders. One of the biggest perks of The Training Centre? Our vast equipment library. There’s a lot of gear out there you might not ordinarily get your hands on. Here’s your chance. Who knows, maybe you'll discover a tool safety solution you never knew existed — or even an entirely new way of working!